My card for the Sketch Saturday #149, uses a stamp from the lastest Wild Rose Studio Release. 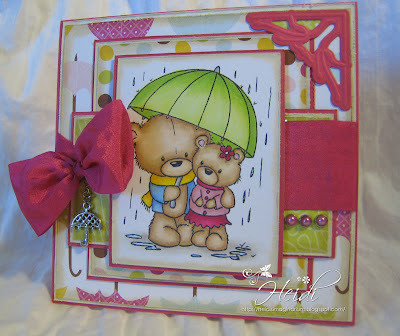 Accessories: Umbrella Charm from Stamp and Create, Pearl Brads from Hobby House UK, May Arts Ribbon, Marianne D Creatables Corner embellishment. So gorgeous ,I love the image and the colours.